Upon pulling up to the Selkirk Snowcat Skiing office in Meadow Creek, BC we instantly knew that we were in for something special. The staff welcomed us with open arms outside our car as fat flakes of snow fell from the sky. While the Selkirk Snowcat Skiing staff loaded our luggage into a van for eventual transport to the lodge, we entered the office to sign paperwork and meet the 22 other people joining us on our 3-day skiing adventure. The majority of guests were Canadian (although four of the aforementioned Canadians now live in Texas). Some guests, like Morris and Roslin and Mike and Kirsten, hailed from Vancouver. Others, such as 12-year SWS veteran John and his son and daughter, were from Calgary. 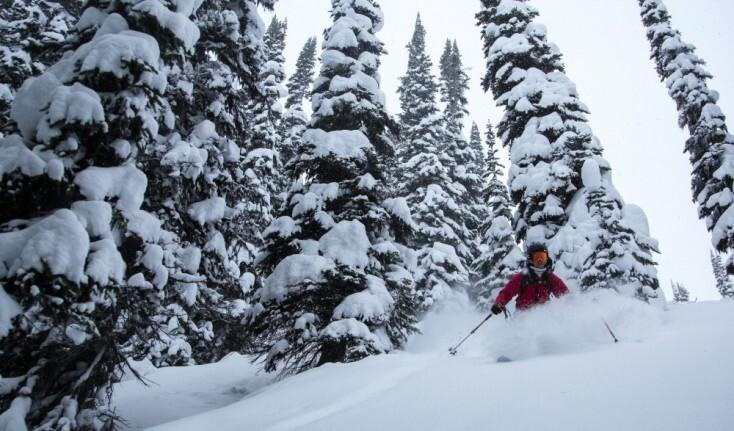 One nine year lodge guest, Niall, lived Revelstoke. As Laura and I met Canadians from all over the country flocking from iconic resorts like Whistler, Fernie, and Revelstoke to SWS, we quickly surmised that our experience at SWS might be even more than what we were hoping for. To get to the lodge, we were shuttled in a truck and then a snowcat. In the truck, we met Paul, one of the new owners of SWS who bought the operation along with his wife and his business partner Scott only a few weeks ago. Paul was extremely friendly and very excited to host his first group paying guests. Once we arrived at the lodge, we were given a tour of our accommodations by the SWS Lodge Manager Russ and told to “make ourselves at home”. We were especially fond of the ‘Honor System’ beverage policy, which, as Russ explained, meant that we were to take whatever we want from behind the bar as long as we put a check next to our names indicating what we took (beer, wine or a soft drink). Dinner our first evening was delicious. 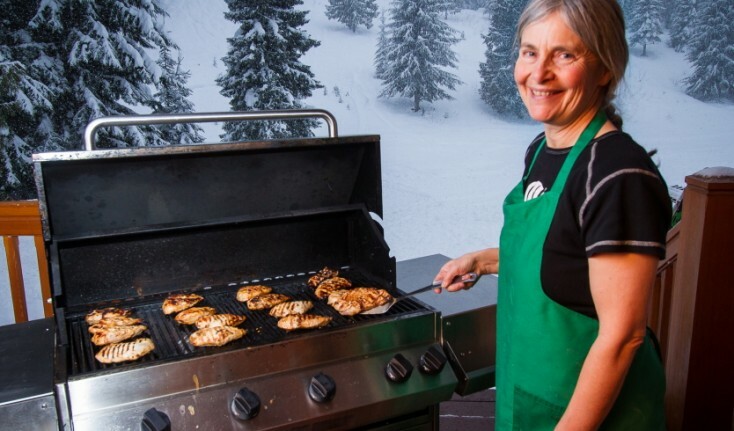 After we finished our meal, Laura, who had been on a cat skiing trip on another British Columbia-based operation said that the SWS lodge, amenities, and the food was definitely more upscale and sophisticated than the previous place she had visited. I was not surprised, as I was certainly very impressed with not only the food but our entire experience so far. Upon going to bed, Laura and debated who would get the bottom bunk in our bedroom. As we were doing so, I joked to myself that fighting over the bottom- rather than the top bunk- must surely be a sign of adulthood. After a good night’s sleep, we awoke to a knock on our door at 6:45 am; the knock was Russ inviting us to join our fellow guests for a morning stretch session. Although Laura opted to continue sleeping for another half hour, I joined in on the stretching, as I was sore from ski touring the three days previous and figuring that limbering up would be a great way to start our cat skiing trip with SWS. Once everyone was fed (eggs, bacon, oatmeal, kale smoothies, fresh fruit, baked goodies, cappuccinos, lattes, tea and more) and dressed to go skiing, we divided into two separate groups and were given snow safety talks. After a hands-on demonstration of all the avalanche safety gear in our packs, we were invited to try out everything for ourselves, including our shovels, probes and avalanche transceivers. Upon getting comfortable with our gear, we engaged in a snow safety exercise, in which we each practiced using our beacons to find two buried victims. Laura, who was a ski patroller for two seasons in the past, commented that this snow safety talk and avalanche search exercise were the most simple and effective she had ever experienced. 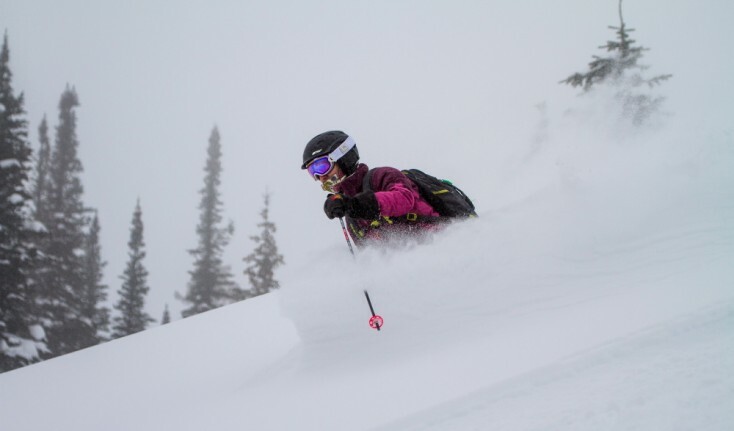 As we climbed the web of snowcat roads, our ski guide Carla rattled off some impressive facts about Selkirk Snowcat Skiing. Carla also informed us we wouldn’t ski the same run twice and our time in the snowcat in between runs would be just the right length for swapping stories, eating snacks and changing layers. In sum, we were in for an unforgettable day. Of course, the snow was surely a big part of the equation. It was consistently light, fluffy, and bottomless. 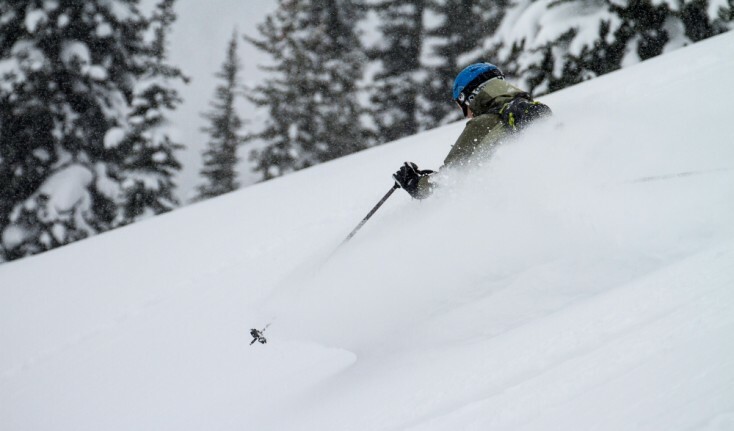 Every run we skied delivered the same dream-like champagne powder most skiers only experience a few times each season if they’re lucky. 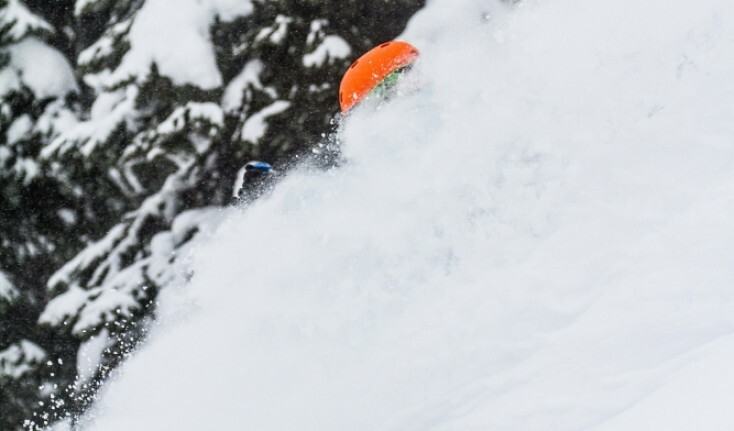 Face shots were in order – on every run for nearly the entire length of each descent. And we got in eight runs. It was so much more then I had hoped for, and it was the only day one of three. Selkirk Snowcat Skiing is a cat skiing operation based in Meadow Creek, British Columbia. Founded in 1975 by Allan and Brenda Drury, it is the first cat skiing operation established in North America. Each Sunday and Wednesday, 24 guests are transported via snowcat to an expansive lodge situated at 1,280 meters (4,200 feet). The lodge is home base for guests during their stay and boasts plenty of amenities, including a hot tub, sauna, pool table, Ping-Pong table, den, boot room, small office, free Wi-Fi, bedrooms, a large dining area and more. 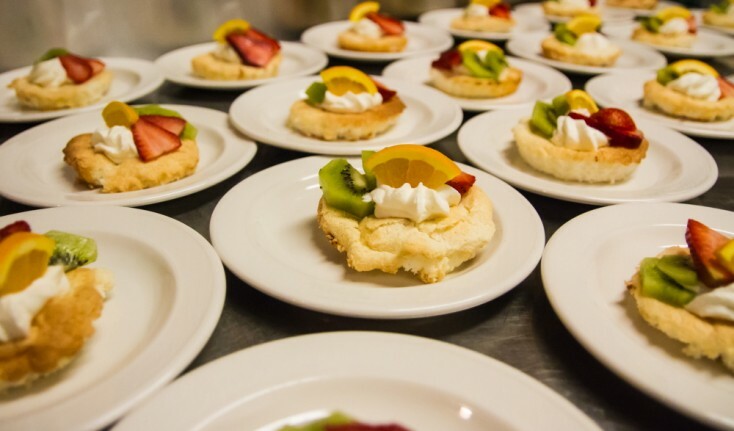 When you’re skiing hard, fuel is important and while you might be hungry enough to eat just about anything after a long day of ripping powder, Selkirk outdoes itself in the culinary department. Roast rack of lamb, chicken tarragon, grilled asparagus, hearty salads, eggs benedict, French toast, coffee, espresso, tea, cookies, and a zillion other delicious treats tantalized my palate during my stay. 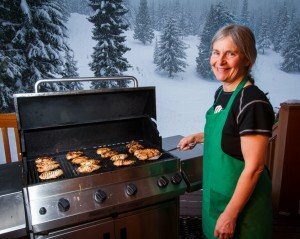 From the food to the endless powder to the welcoming vibe, the Selkirk experience is so unique that “70 percent of guests rebook, year after year”, said Scott Munro, one of the new owners of the lodge. Many of the guests agreed that epic conditions at Selkirk also translate into improved skills. 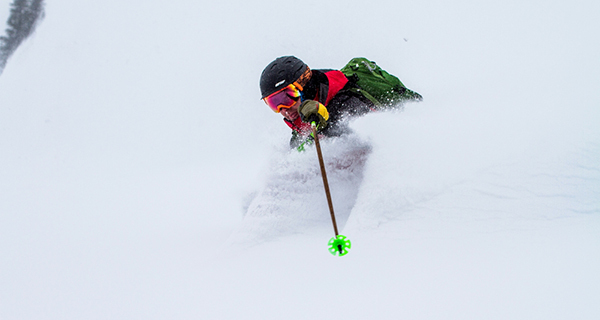 When you’re skiing powder as deep and as consistent as it is at Selkirk, it’s impossible not to get better. I’m addicted, too. By the end of my trip, I knew I’d be back, just like the countless other skiers and snowboarders who’ve discovered Selkirk Snowcat Skiing. 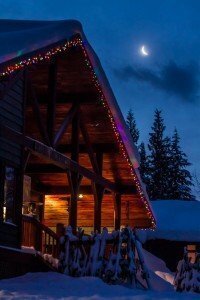 There is nothing in the world quite like a trip to Meadow Creek, British Columbia to visit Selkirk Snowcat Skiing. After a recent week of snowcat skiing on the freshest, untracked lines and some of the most amazing and diverse terrain I’ve ever witnessed, I’m not hesitant to say that it was one of the best riding experiences of my life. Allan and Brenda Drury founded Selkirk Snowcat Skiing way back in 1975. In fact, they pioneered the use of snowcats for skiing after Allan saw them being used in Sun Valley to take people to see new areas. The amazing opportunity to go skiing with heli-skiing visionary Hans Mosier during the earliest years of his operation gave Allan the idea to try a similar thing with snowcats. And that’s where snowcat skiing and the amazing Selkirk Wilderness Skiing area were born. 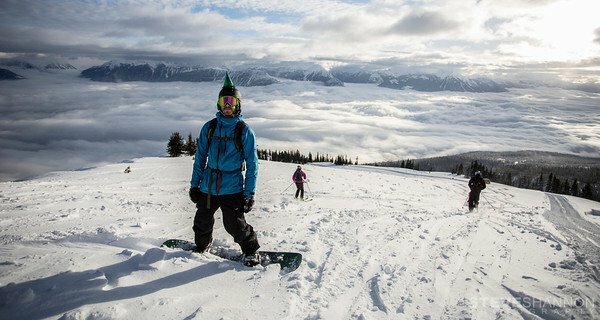 Though there are now over twenty snowcat skiing operations in British Columbia alone, Allan and Brenda’s brainchild remains the finest around. As you’ll see below, it’s not only the miles and miles of majestic terrain that make Selkirk Snowcat Skiing the best of the best, it’s also the family atmosphere, wonderful staff, attention to safety and detail, and the way times seems to move a little slower when you’re tucked away deep in the Kootenays. There’s a reason people keep coming back year after year, generation after generation. Let’s start with the location because it’s as perfect as you can imagine. Selkirk Snowcat Skiing is located just outside of Meadow Creek, about an hour and a half north of Nelson, B.C. 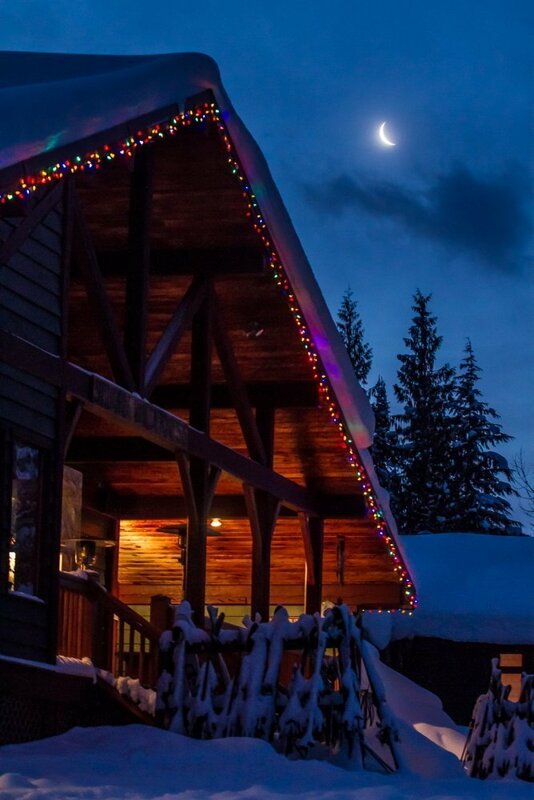 The remote and beautiful lodge is situated on the eastern slope of Meadow Mountain at approximately 4,200 feet elevation with panoramic views of the Selkirk and Purcell Mountains. The surrounding network of snowcat roads gives guests access to a skiing area of over 30 square miles. That’s bigger than the entirety of Vail or all of Whistler-Blackcomb combined. And get this – because only 24 skiers are invited up per week, almost every inch of that is untracked snow. 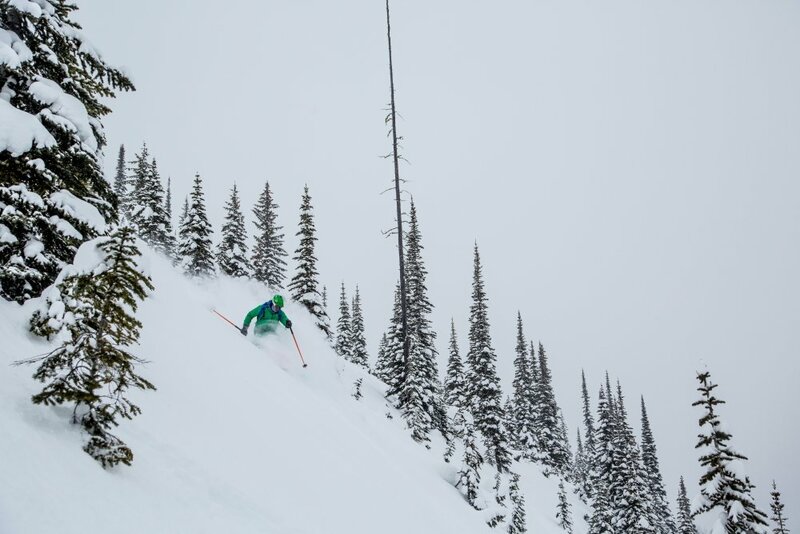 Better yet, the location of Selkirk Snowcat Skiing makes for some of the most reliably deep snow in the world. It’s what real snow is supposed to be like. The only downside to the quality of the area’s snow is that returning to your home mountain, even if it’s a great season, can be a little hard to adjust back to. Meadow Mountain spoils you, even if you call Jackson Hole home. The deep and tight geography of the area keeps winds to a minimum and keeps the snow dry. The Selkirk experience is unsurpassed. From the moment you arrive in Nelson ready to head up to Meadow Creek to the time you say goodbye to the Selkirk family on the last day, it doesn’t get much better than this. Before my trip up to Meadow Creek, I thought I’d gone snowcat skiing before. I’d been on a few snowcat trips in Colorado when I met Marcus from Selkirk. He told me, “Oh this is not snowcat skiing, I’ll show you snowcat skiing one of these days.” And, boy, after heading up to Selkirk, I can say he is right. 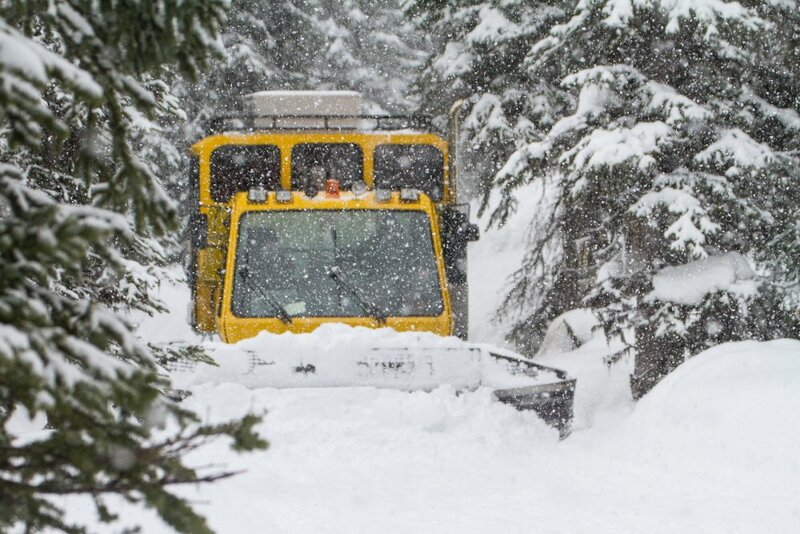 No offense to the snowcat operation in Colorado, but nothing can really compare to the SWS experience. The operation up in Meadow Creek welcomes only twenty-four skiers each week. The intimate setting means more skiing for all, safer conditions, and powdery snow for as far as the eye can see. 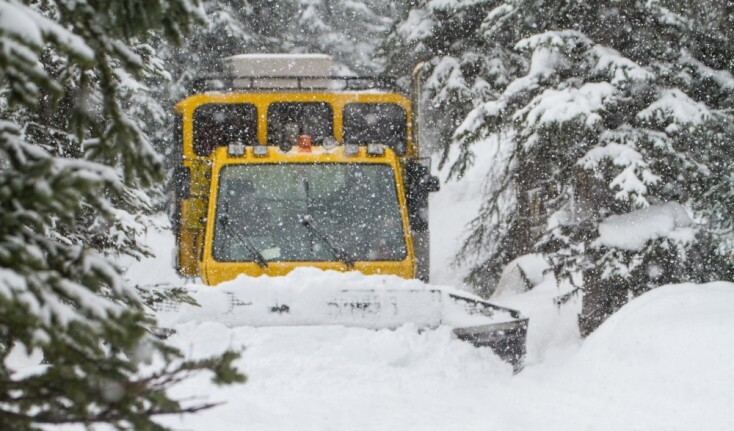 After years in operation, Selkirk Wilderness Skiing now called Selkirk Snowcat Skiing has perfected the art of cat skiing. The cat rides are smooth and efficient and are never grounded by stormy weather, unlike nearby Heli ops. The cats feature a covered and heated cab so you’re not left out to freeze on your way to a run. 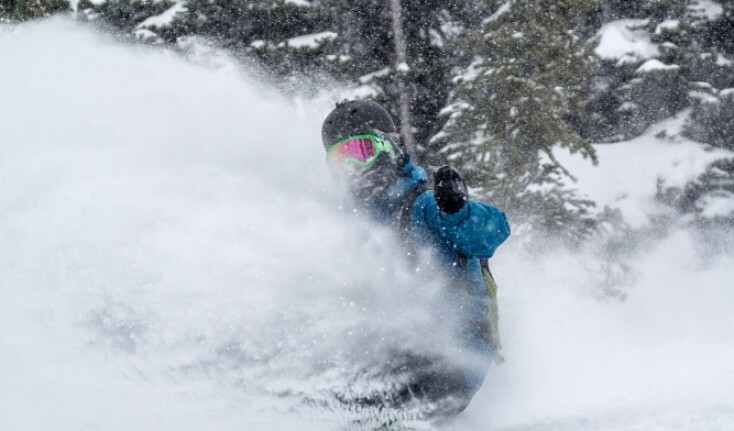 Each day of your stay, groups of twelve guests are taken up to terrain featuring a challenging mix of open bowls, steep tree-lined runs, fast chutes, and mellow glades. Each group is led by an experienced guide and followed by another guide for the maximum in safety. 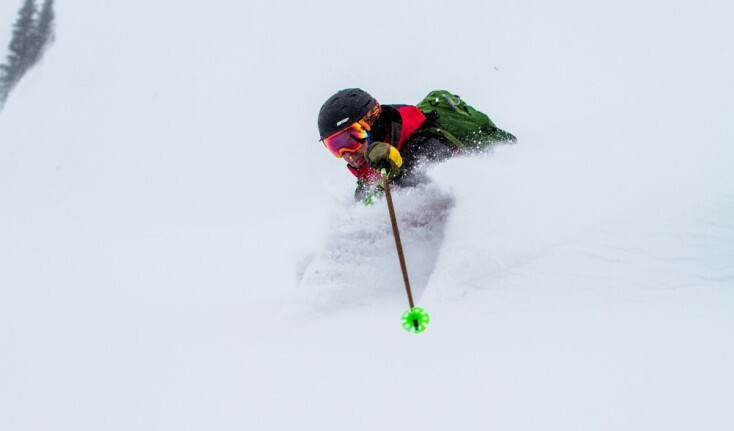 Though proficiency in deep snow is not required, it is necessary that you are an advanced enough skier to handle black diamond runs at normal ski resorts. The guides are ready and willing to teach new powder skiers how to tackle these amazing slopes. But remember you are only as strong as the weakest member in your group, so plan accordingly. “It was just making the guests feel like they are at home. And that’s what we aimed for. And I guess because we’d started in our home in the valley for the first ten years with twelve guests, you know. That’s the way it started in our home and when we built the lodge we thought well we’ll just transfer what we’re doing here in the valley to the lodge. And that’s what we did and I think people really did feel like they were coming home to, not only the ambiance of the lodge but the staff. As you probably found out when you were there, I’ve always had a very good retention of staff. So people would come back and there would be the same staff whose priority it was to make the whole holiday the best week of someone’s year. And that’s what I always said to the staff. There is a reason why people keep coming back to Selkirk. 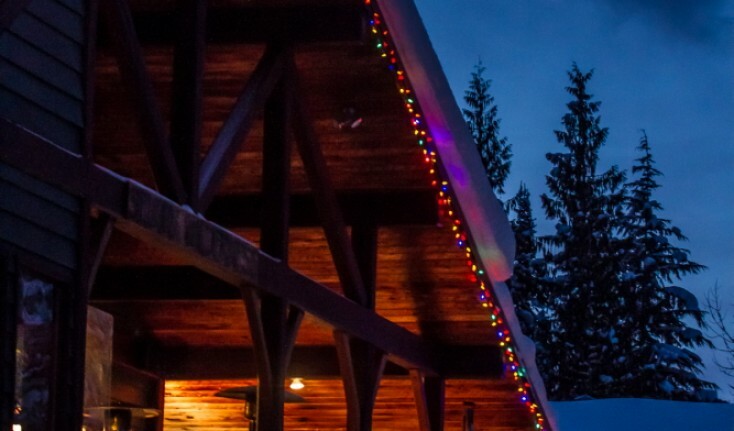 In addition to the outstanding snow and world-class terrain, its’ the family atmosphere, experienced guides and accommodating lodge staff that makes a trip up to Meadow Creek for snowcat skiing such a wonderful experience. If you want the vacation of a lifetime, Selkirk Snowcat Skiing will provide you with one from start to finish. It’s the best skiing anywhere, only a hop, skip, and a jump from the United States, and has more fresh snow, snow, snow than imaginable. Selkirk Wilderness Skiing has been in operation for the past 4 decades. 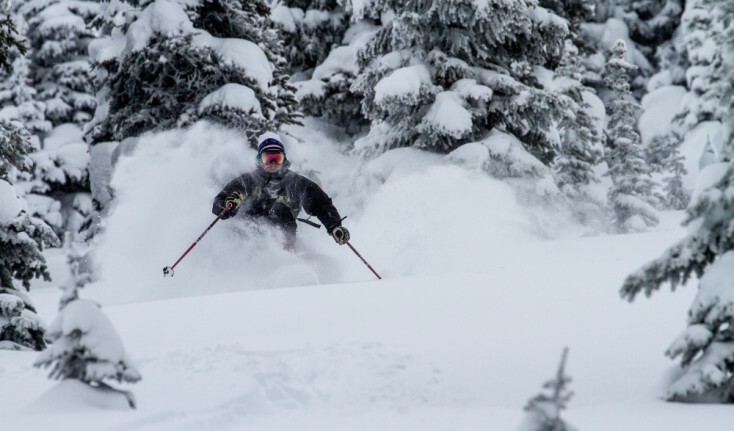 The original catski operation in the world offers one of the best snowcat skiing experiences in North America. 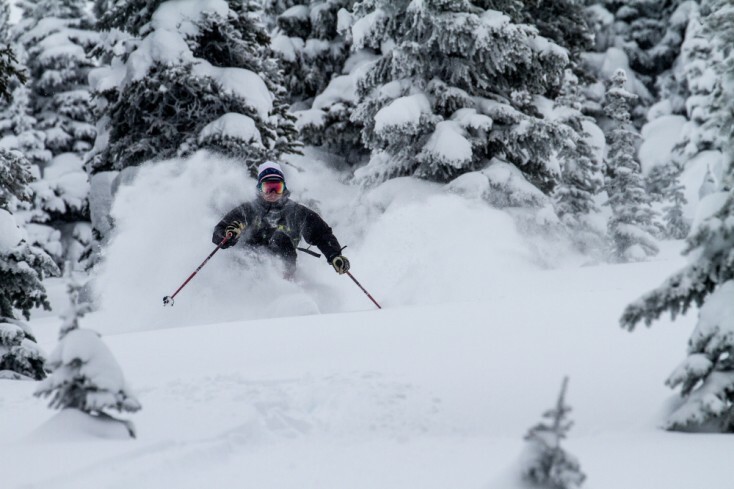 Each week 24 skiers and riders are treated to powder turns, luxurious lodging and hospitality while staying at the SWS. 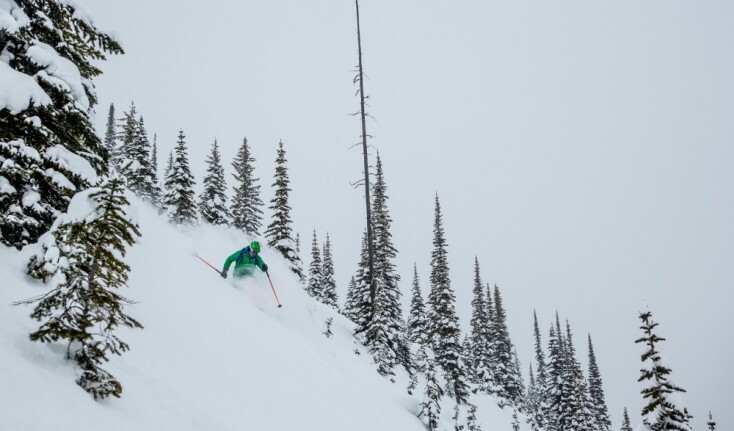 Selkirk Snowcat Skiing is located an hour and a half north of Nelson, British Columbia home to some of the lightest powder snow on earth and averages over 600″ of snow annually. Here are some of the stories from staff that calls SWS home.